Built Tough. Handles Any Debris. Do you need your dumpster serviced daily or weekly? 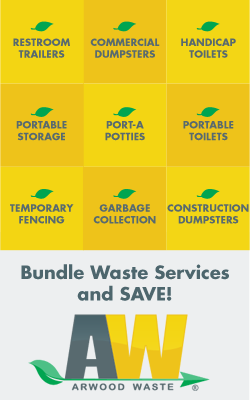 Regardless of the frequency of your waste removal needs or the size dumpster you need, we’ve got the solution. Let us be clear when ordering your commercial dumpsters. Our pricing is listed in our form below, making your order easy to understand with no surprises. Why Choose Arwood Waste of Ann Arbor, MI? Arwood Waste is pleased to offer you highly dependable service, provide a one-stop shop experience, and environmental innovations. Almost all of our commercial customers would recommend us to friends and other prospective customers. Arwood Waste of Ann Arbor, MI offers service to businesses from small to large, like yours in Ann Arbor, MI, with a single point of contact for all your waste needs – from recycling to organic wastes, and more. Call us today at 734-274-4124!